Ready to learn raw food? You just found your new best friend, supporter, and raw vegan advocate! 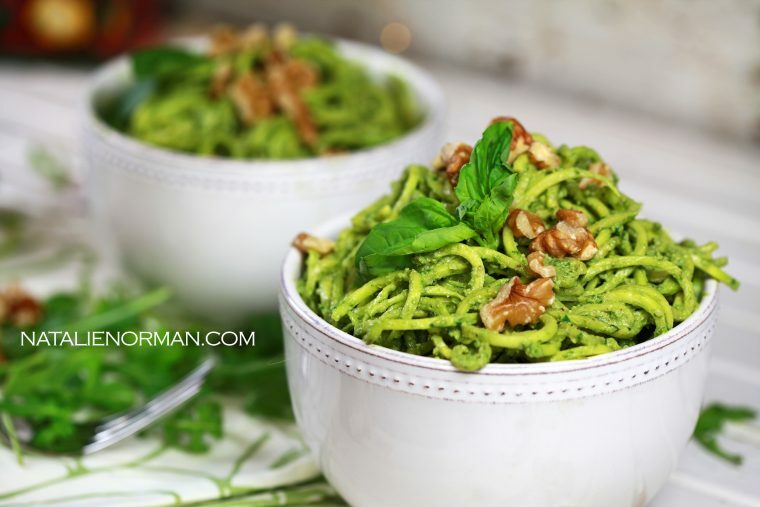 Natalie Norman is a highly experienced certified raw food teacher and plant-based living expert who makes raw vegan nutrition and meal preparation not only EASY for you but DELICIOUS, and FUN, too. As a busy working mom, active community volunteer, and fitness enthusiast, Natalie Norman makes raw food work in the real world every single day. Natalie has been fully raw vegan for eleven years and vegan for decades longer than that. She brings her vast experience and knowledge to the table, ready to share it for your benefit. If she can make a raw food diet work while juggling the demands of raising active kids and working full-time, then so can you! Subscribe today to connect with Natalie for free raw vegan lifestyle support, education, health tips, easy raw food recipes and more! Also be sure to follow Natalie Norman on her official Instagram account; it’s like raw food education online every day! You can also find Natalie on her official Twitter and Facebook page for more raw vegan inspiration. Having gone through her own health challenges in the past including substantial weight gain during pregnancy, skin and joint problems, early stage cancer, and low energy, Natalie knows firsthand how physically and emotionally daunting it can feel to embark upon a new journey towards health and start a different lifestyle. Standing at 5’11” tall, Natalie has transformed herself into a fit and healthy size 4, overcoming years of frustration, health problems and weight gain from eating cooked food. She is a distance runner, lifts weights, does Pilates, feels youthful, and enjoys her best health ever! Change isn’t easy, but Natalie can make it easier for you. She has helped people worldwide discover and master plant-based living. Her approach is laid back, practical, and ALWAYS positive! Natalie advocates that the raw vegan lifestyle is more than just food and weight loss. It’s about finding strength and living a happy, full and compassionate life empowered by the very best nutrition possible. Natalie Norman is an Advanced Raw Food Nutrition Educator certified by the world-renowned Living Light Culinary Institute where she studied with top educators and experts in the science behind raw foods. Additionally, she is a Certified Sports Nutritionist (IFA) and Certified Spin® Instructor. She also holds a Certificate in Plant-Based Nutrition from the esteemed T. Colin Campbell Center for Nutrition Studies. She completed her Raw Food Instructor training under one of the industry’s first pioneers, Nomi Shannon. In addition to her extensive professional training, Natalie is an energetic public speaker and frequent author and contributor for a broad spectrum of vegan publications, websites, and businesses. Natalie is a passionate supporter of vegan fashion companies and designers, and believes that true haute couture can never involve cruelty to animals, humans, or our planet. With raw food plant-based recipes for every occasion and palette, Natalie supports you where you are today on your unique journey into a healthier lifestyle. Natalie teaches that thriving on a raw (or high-raw) plant-based diet is not only possible but also scrumptious and simple! From holiday meals, to snacks, to everyday life, you have mouth-watering, nutritious options. Remember: Subscribe to Natalie’s free community today to receive raw vegan recipes, weight loss support tips, vegan lifestyle news, support, and more! Natalie is dedicated to providing you with practical, delicious raw vegan recipes you will master with ease and truly crave! Stay connected; it makes a difference in your success. Long-term successful raw vegans can help you stay on track, make adjustments where needed, and keep you inspired by example throughout the years. If you are interested in working with Natalie Norman to speak at your next event, contribute to your publication, or collaborate with your business, please contact her here.